Brand new Ultracharge rapid charger now available on the POLAR network at Starbucks Hayes in Willow Tree Lane Retail Park. Installed right out the newly opened Starbucks location, the charge point is just off the A40 and has a number of other shops adjacent. Another Chargemaster Ultracharge gets a paint job with blue bay markings now complete at Mercure Letchworth Hall Hotel’s brand new Ultracharge rapid charger install. Sat side by side, the two new Ultracharge units at Holiday Inn Kingston South are installed and ready to use on the POLAR network, available to both POLAR plus members and POLAR instant users. The site has also received a paint job with blue EV Charging Only bay marking. De Rougemont Manor Hotel has installed a state of the art 50kW Ultracharge rapid charger at their site, as well as eye-catching blue bay marking included. Alongside numerous other IHG hotels sites to join the POLAR network, Holiday Inn Gloucester-Cheltenham has installed a Chargemaster Ultracharge at their site, offering rapid charging to guest and visitors. Holiday Inn Express York have had a new 50kW Ultracharge installed and it is now active on the POLAR network, available to POLAR plus members and on POLAR instant. Luxury Cornish hotel, Headland Hotel and Spa, has joined the POLAR network with a 50kW Ultracharge installed on site. 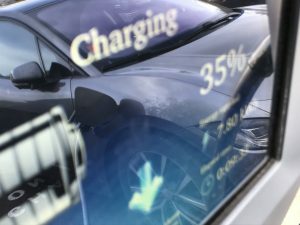 The number of electric cars on UK roads is now over 150,000, which has risen by 50% in just one year, and has been matched by an expansion of POLAR, the UK’s largest public charging network. This weekend, the Chargemaster team will be attending the greatly anticipated Fully Charged Live event at Silverstone and we’re offering all attendees a chance to win a year of free POLAR plus membership. Alongside Transport for London (TfL) the POLAR network have continued to install more Ultracharge rapid chargers across London, available on both the public POLAR network as well as taxi-only units.